A woman who understands her cycle has a powerful tool for taking charge of her own health and fertility. The health of a woman's cycle is integral to understanding the health of her entire body. 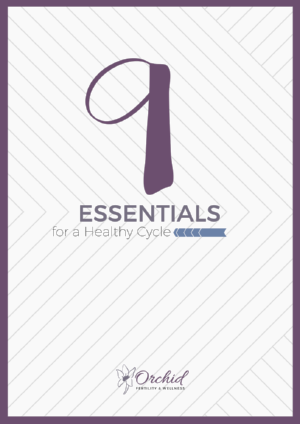 Download our guide to master the 9 Essentials for a Healthy Cycle and unleash not only the power of your cycle, but improve your overall health of body, mind, and spirit. Maybe you have been diagnosed with "unexplained infertility" or simply haven't been able to conceive for months. It may seem like IVF or IUI are your only options. Wish Orchid, you have access to a low-cost, effective alternative to Artificial Reproductive Technology. heavy periods, PMS, PCOS, endometriosis: These are just a few of the common women's health problems experienced today. at orchid, you Will learn to identify the root cause of hormonal imbalance.